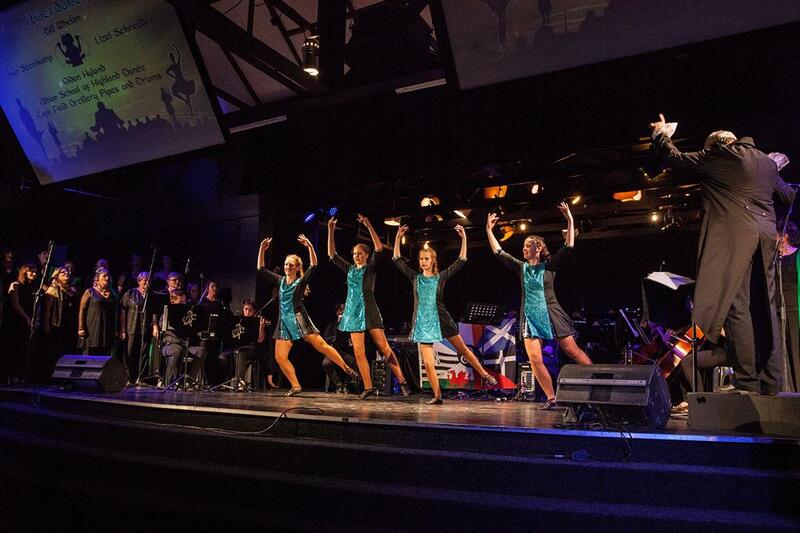 GEORGE NEWS & VIDEO - The auditorium at Eden's Place was packed with an audience of over 900 people last Friday, enjoying an evening of the performing arts with the Carpe Musicam! orchestra and choir, and an impressive list of guest artists. Fantasia 2019 was a fantastical event, showcasing 99 performers on stage, in George on Friday and in Knysna on Saturday. In Knysna more seating arrangements had to be made to meet the amazing demand of more than 600 people at the Dutch Reformed Church Hall. Elsabé Barkhuizen and Norman Carless, conductors of the choir and orchestra, were glowing with pride following the weekend's performances. "It was wonderful to see such overwhelming support for local talent, and to see people from all over the Garden Route enjoying this valuable home-grown cultural asset." The list of guest artists include the Albion School of Dance in Cape Town (with dancers Lynette Munro, Stacy Ingram, Sarah Kruger and Taryn Edmonds-Bassett), the Cape Field Artillery Pipes & Drums (Pipe Major Grant Scheffel, Dirk Otten, Dylan Meyer, Merrill Wicht, Chanie Meyer and Ken Hundermark), the Irish dancer Aidan Hyland who represented South Africa at the World Irish Dance Championship in 2014 and vocalists Steve Prophet (Johannesburg), Bea Crawford (George), Heather Waters (George) and Tanja Störm (Mossel Bay). Four members of the Carpe Musicam choir and orchestra, Marlene Tagliavini, Lizel Schreuder, Joan Steenkamp and Rob Onraet, delivered solo items, much to the delight of the audience. Barkhuizen said Carpe Musicam! 's focus is very much on the development and enjoyment of music among the youth and in the community. The youngest members of the choir and orchestra are a mere 10 years old, and the eldest, 80. Members of Carpe Musicam! are already practising for their next concert in May. After the shows, Barkhuizen received some glowing messages from performers. "Tonight's acoustics and sound were a cut above the rest - such a HUGE pleasure to experience here - this was noticed and complimented by all - All night! Wow! Thank you so much to Carpe Musicam Orchestra (Elsabe and Norman) and everyone involved! What an electric weekend! Massive thanks to all who came out to support the show in Knysna tonight! I'm still coming down from the Adrenalin of the shows -love it :) so beautiful and most of all honest and pure! The dancers, all musicians and all the most powerful women who featured tonight - in all my years of performing, it was a breath of fresh air to work with..."
"Whilst packing our instruments away last night, an old lady shuffled towards me holding on to a Zimmer frame walker. What drew my eye was her huge smile and the tears in her eyes. She struggled to say anything but eventually managed to whisper the words "thank you" as I held her hand. The person behind her then told me that the lady has Alzheimer's / dementia and that this evening's show was the best thing to happen to her and that it was the first time that she had smiled or talked in quite some time. Music has great power. Thanks to all of you, this one person received something very, very special."